What is the combined weight of all of the information on the internet? Mathematicians must work with the smallest particles of the Web to find out. 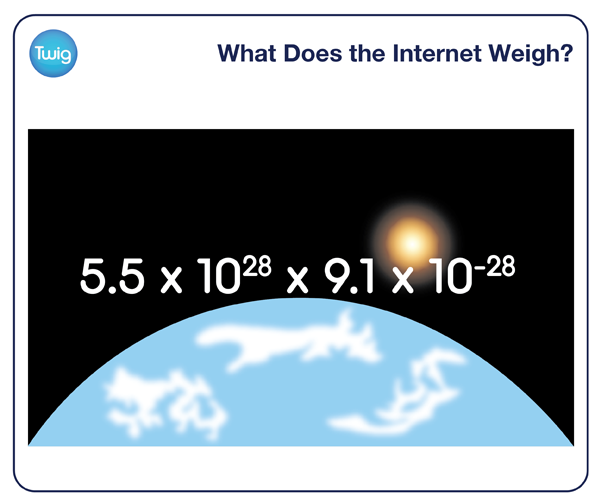 If it were possible to physically measure all of the information on the internet, how much would it weigh? As much as a car? 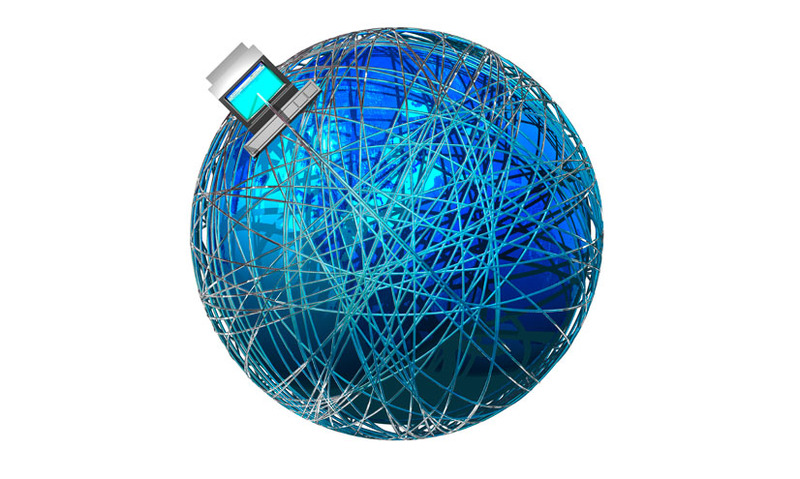 Mathematicians have had to work with the smallest particles of the internet to find out. Every blog, video or email is transferred through the internet by servers, which transmit electric signals. These are flows of electrons. Even though they are only small parts of atoms, electrons still have mass. They just have very, very little mass. Numbers this small are more easily written using standard form. For very big numbers, the number of times 10 would be multiplied by itself to calculate the number is shown as a power. For very small numbers, negative powers are used. Like positive powers, these indicate the number of times a tenth is multiplied by itself. So increasing positive powers indicate bigger and bigger numbers, whereas increasing negative powers indicate smaller and smaller numbers. To describe the mass of an electron, standard form gives this clever shorthand. A mass this small does not show up, even on the world's most sensitive set of scales. But the mass of all the electrons used in every email, video or blog post adds up. It is estimated that throughout the World Wide Web, over a trillion trillion electrons are moving at any one time. Multiplying this number of electrons by their mass gives the total mass of the internet. Around 50 grams – the equivalent of just 10 sheets of paper!